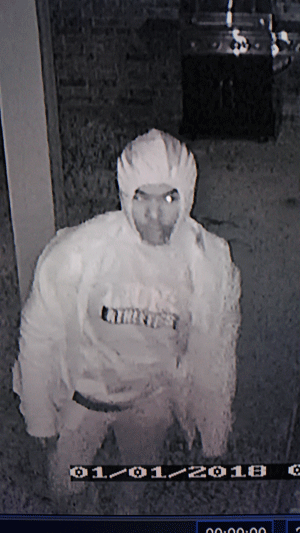 surveillance and observed the suspect (pictured below) outside the residence for about an hour before entering. Deputies believed the male suspect entered the home through an unlocked window on the side of the house. Once inside, the suspect is seen on video surveillance from inside the residence entering all rooms of the house to include the bedroom where the homeowner was sleeping with her 7 year old daughter. Montgomery County Sheriff’s office advising someone had entered her residence while she slept and had stolen items from inside her residence. Deputies also learned that the suspect left men’s underwear inside the victim’s residence which contained bodily fluids. On January 3, 2018, The Montgomery County Sheriff’s Office received an anonymous tip through Montgomery County Crime Stoppers after the tipster saw the Facebook post about the burglary of a habitation from Paladera Place Court in Spring, Texas. The tipster recognized the individual in the photo released by law enforcement and provided Crime Stoppers with the name Terrell Morgan. Detectives began investigating Morgan and discovered that he had previously been arrested for drug possession. Detectives then had Montgomery County Sheriff’s Office Crime Scene Investigators compare Morgan’s previous arrest prints with the prints recovered by investigators from inside the residence at Paladera Place Court and learned that they were a match. Detectives prepared an arrest warrant as well as a search warrant, which were both approved by a Montgomery County Judge. On January 3, 2018, Detectives executed the search warrant at Morgan’s residence located in the 31700 block of Chapel Rock Lane, Spring, Texas. During the search warrant additional evidence was recovered linking Morgan to entering the Paladera Place Court residence on the previous occasion the victim reported in November 2017. Morgan was arrested at the Portofino Shopping Center by Deputies as he awaited family to get off work within hours of approval of the arrest warrant. Detectives subsequently interviewed Morgan and was able gain additional evidence along with his motive. Morgan was placed in custody for Burglary of a Habitation with the intent to commit a felony (Voyeurism), which is a first degree felony and is being held in the Montgomery County Jail on a $250,000.00 bond. 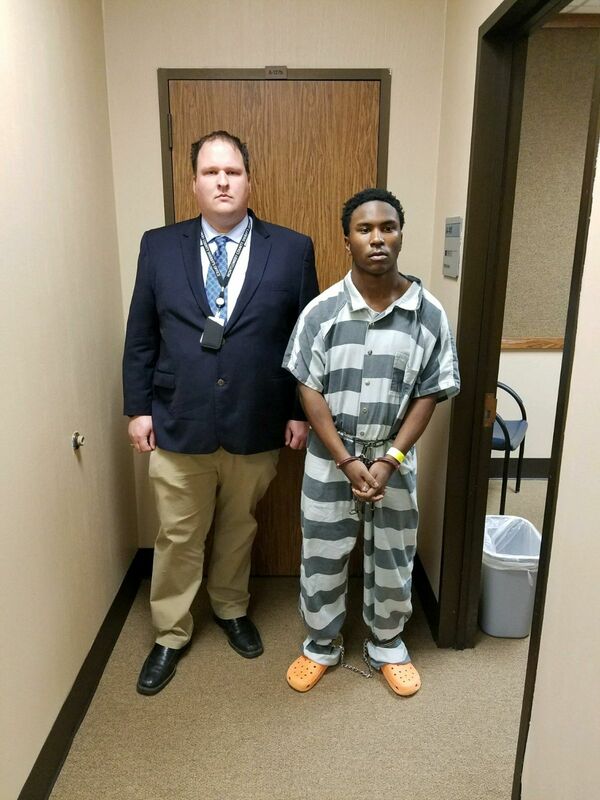 Montgomery County Sheriff Rand Henderson would like to commend his staff for their persistent, thorough and diligent work in apprehending Mr. Morgan and getting him off the streets. We know this type of criminal behavior can escalate and are proud our detectives got this dangerous felon off the streets as quickly as they did. Sheriff Henderson would like to thank our community and our media partners for taking an active role in putting this criminal behind bars. Anyone with information regarding this suspect or this crime is asked to contact the Montgomery County Sheriff’s Office 936-760-5800 or Crime Stoppers at 1-800-392-STOP (7867) and refer to case number# 18A000496.